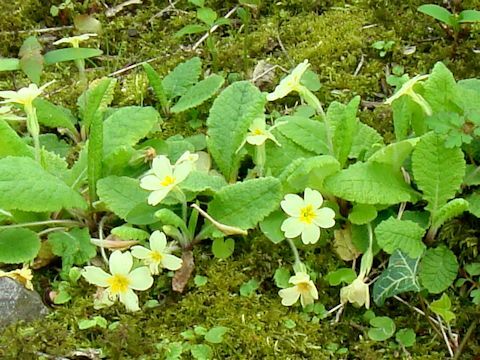 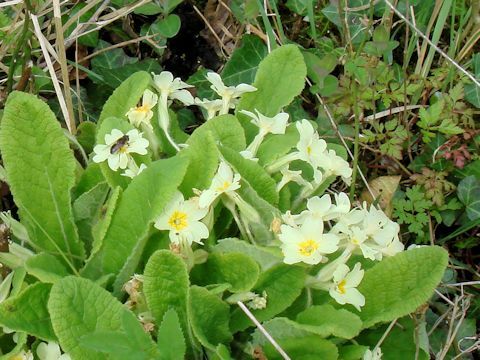 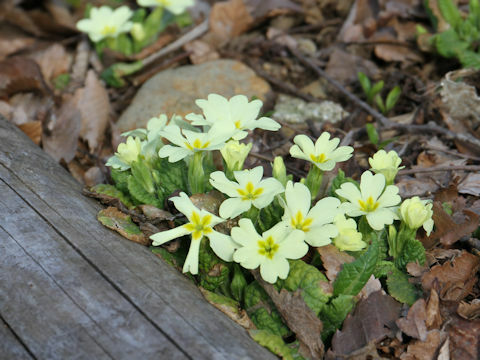 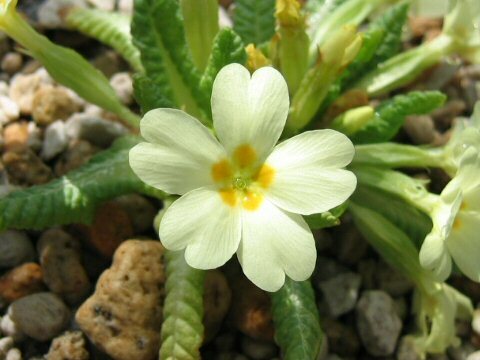 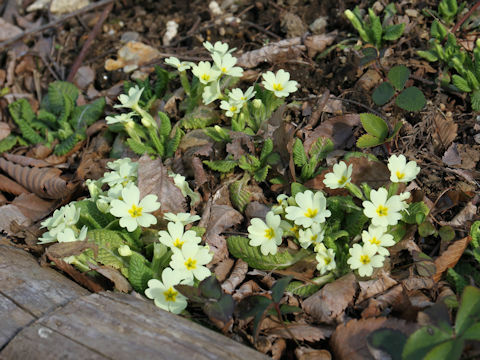 Common primrose (Primula vulgaris) belongs to the Primulaceae (the Primrose family). 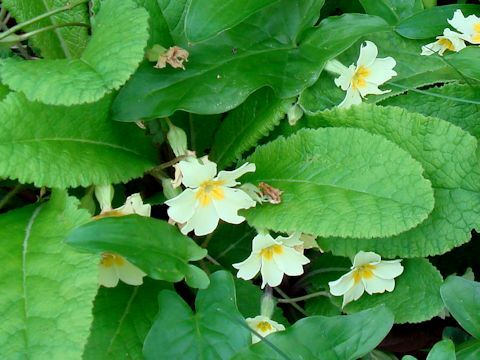 It is a perennial herb that is distributed widely to Europe, east to the Caucasus. 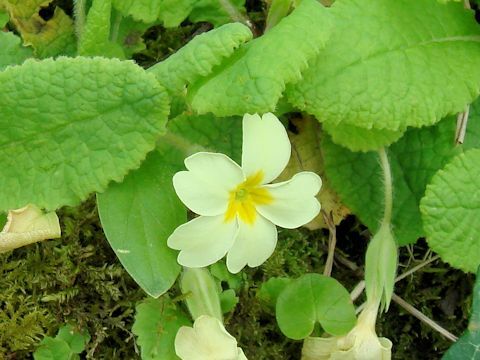 This herb grows in forest edges or grasslands, and can reach 5-10 cm in height. 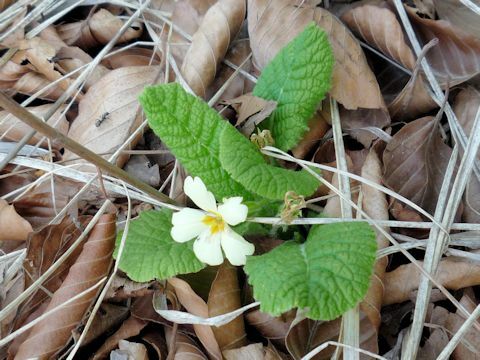 The leaves are obovate to oblanceolate with irregular serrated edges. 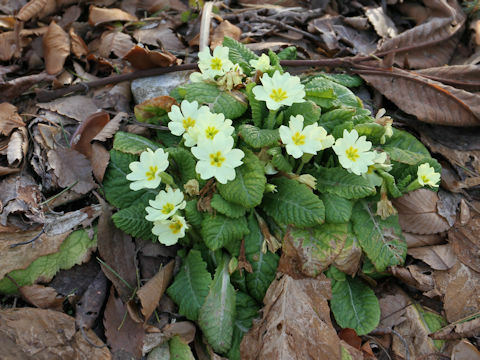 The umbels are borne on the developed flowering stalk, and the pale yellow flowers bloom in spring.